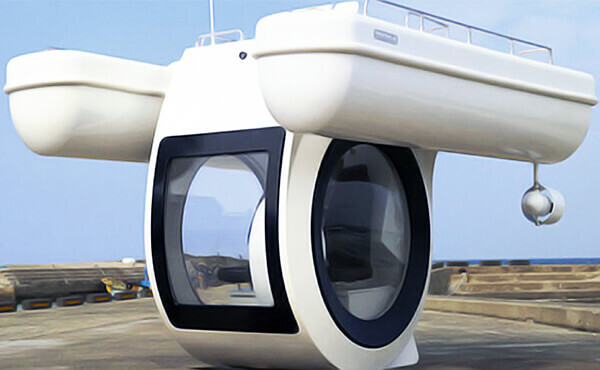 The “Ego” by Korean company Raonhaje is built around a submergeable core, permitting the private enclosed underwater excursions of individuals, couples, and families. From outside, it looks like an upside-down boat: the hull floats on the surface of the water while the cockpit is held underneath, with aquarium-style walls allowing you to peep everything going on under the surface. 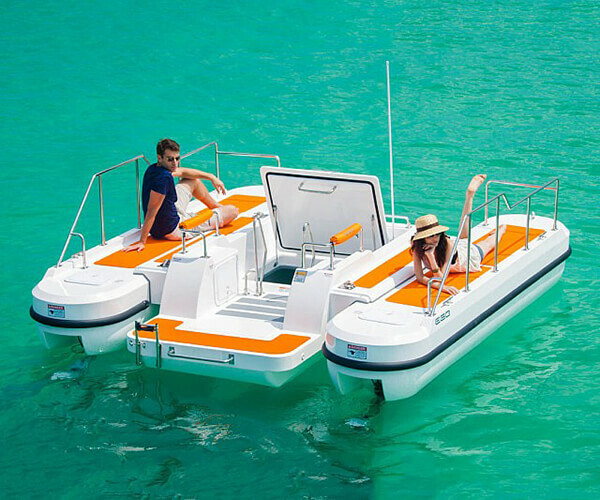 Powered by 8 12-volt marine batteries, a single full battery provides a run time varying from about four hours at top speed to eight hours at consistent cruising speed. Since this is a personal use “submarine”, the steering system is modeled after a car’s to increase the ease of operation. Hence no special license is required for the craft’s operation. 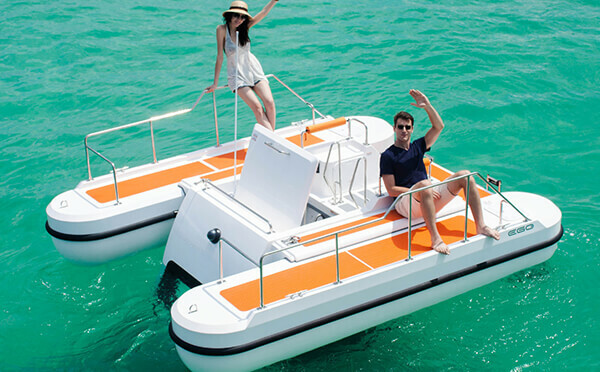 Sounds like an attractive water vehicle to experience the ocean in a “submarine”. However, we have no idea of the price of it.